MacIsaac Armstrong, 16, Maggie Armstrong, 14, and Gracie Armstrong, 11, all aspire to be accomplished swimmers some day. On Saturday, Sept. 15, the siblings and members of the Boulder City-Henderson Heatwave swim team, got a firsthand look at what it takes to succeed. 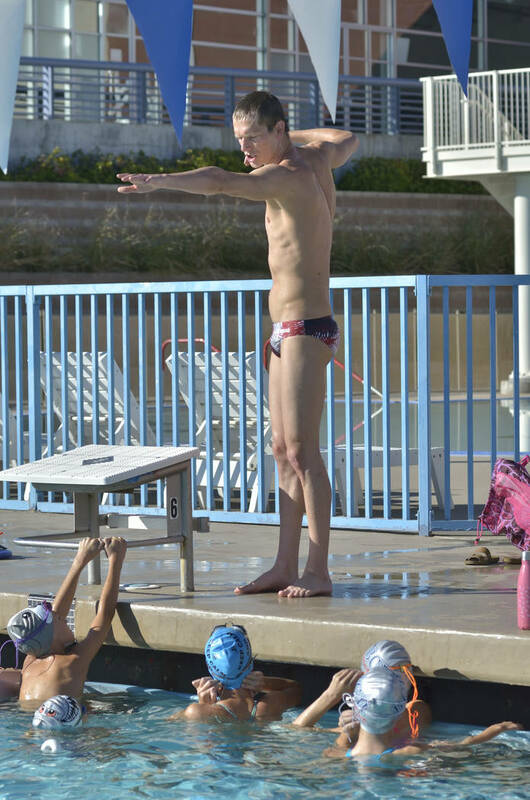 Robert Vendettoli/Boulder City Review Zane Grothe, who set a record in the 800-meter freestyle at the 2018 Pan Pacific Championships and earned a spot on Team USA, returned to his hometown swim team of the Boulder City-Henderson Heatwave to lead a clinic for young swimmers Saturday, Sept. 15, 2018. 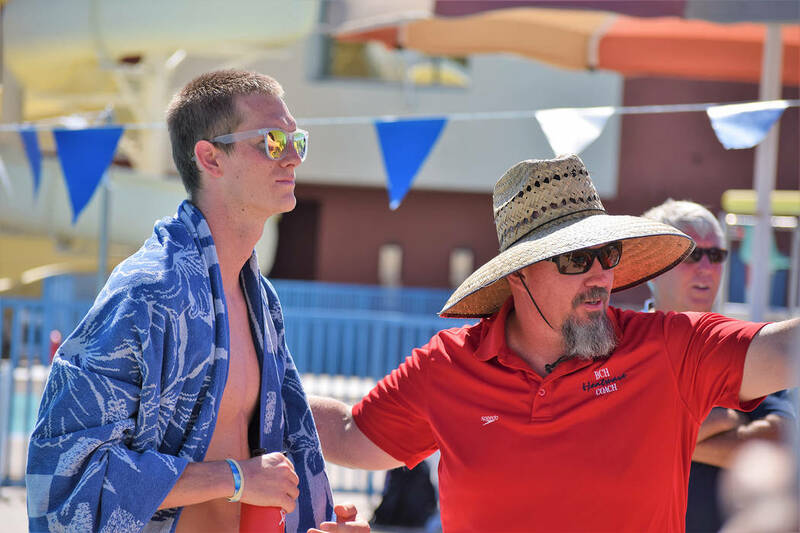 Robert Vendettoli/Boulder City Review Zane Grothe, who set a record in the 800-meter freestyle at the 2018 Pan Pacific Championships in August and earned a spot on Team USA, joined with BCH Heatwave coach Brian Wakefield for a swim clinic at the Henderson Multigenerational Pool on Saturday. Bill Hughes/Las Vegas Review-Journal Zane Grothe conducts a swimming clinic for members of the Boulder City-Henderson Heatwave swim team at the Henderson Multigenerational Center on Saturday. Grothe is an Olympic hopeful and American record-holder who swam for the team from age 5 through high school. 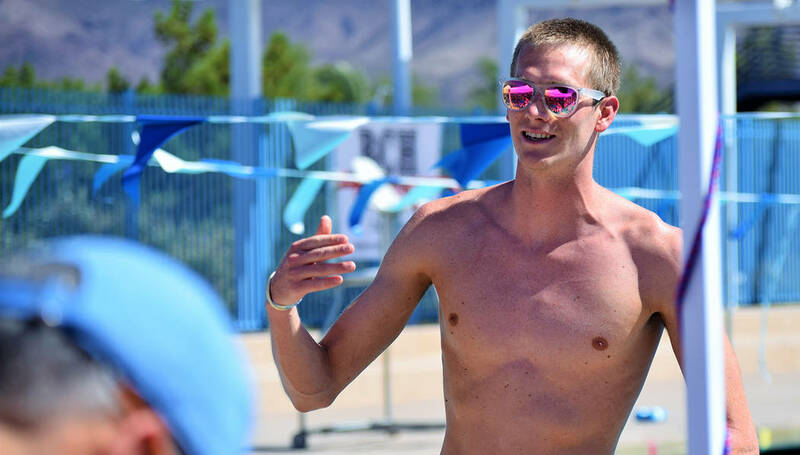 Zane Grothe, a former Heatwave swimmer and member of Team USA, returned to his hometown for a swim clinic at the Henderson Multigenerational Pool. He joined Heatwave coach Mike Polk to offer advice and swim tips. He said he had always wanted to give back to the team that gave him so much. Grothe offered lessons on proper stroke techniques as well as helping swimmers with their turns and starts, giving everyone individual attention throughout the hour and a half session. MacIsaac Armstrong said he enjoyed the water portion of the clinic most, getting firsthand coaching from Grothe on substantial technique fundamentals. Above all else however, swimmers just wanted the opportunity to compete against the future Olympic hopeful. Seeing noticeable differences for many of the swimmers, Grothe said he relished in the opportunity to help the next generation. Grothe’s star status resonated with his pupils, who soaked up everything they could. Grothe talked about the journey that has lead him to success, including his failures. Starting out with the Heatwave as a child, Grothe has blossomed into one of America’s top swimmers, recently being selected to represent Team USA at the 2019 World Championships next summer in Gwangju, South Korea. In August, he set a meet record in the 800-meter freestyle race at the U.S. Swimming Championships. Grothe provided tips for swimmers inside and outside of the pool, including how to take care of your body physically and mentally.